The green building movement has created quantifiable rating systems that seek to establish specific levels of achievement in the creation and performance of green buildings. Leading multi-slide door manufacturers may support green design and have membership to the USGBC. Green products today reach beyond simply utilizing energy-efficient NFRC-rated glass to also encompassing practices such as using recycled packaging and materials to offering LEED certification. 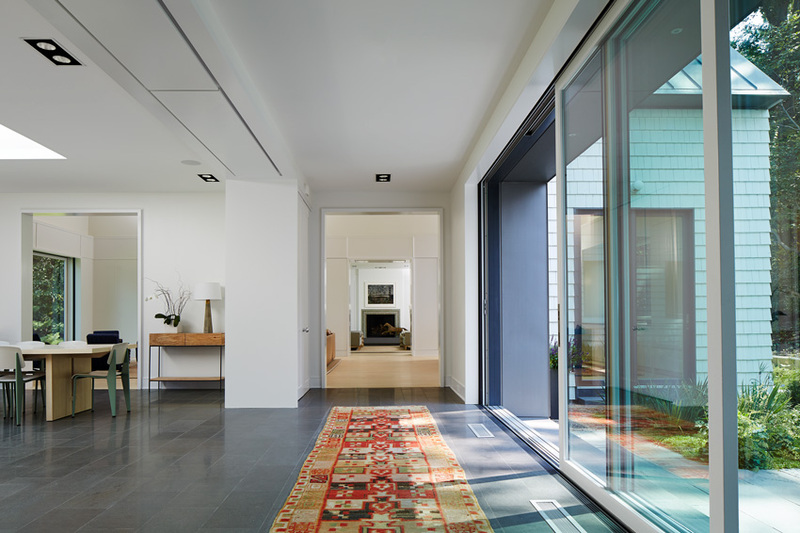 Multi-slide doors help a space capture natural daylighting. Allowing for more glass and light, large door systems can create a good passive heat source and minimize use of electricity for daytime lighting. They also expose occupants to the benefits of sunlight, as opposed to artificial lighting. Multi-slide doors also engineer maximum use from a space. Their innovative design connects both indoors and out, maximizing any space and defines a true outdoor living experience. A critical aspect of green and sustainable design involves ensuring indoor air quality for healthy living environments. Multi-slide door systems open up areas typically blocked by walls and aid in whole-house air circulation, bringing clean and fresh air into any structure. Fresh-air ventilation plays a powerful role in maintaining indoor environments. 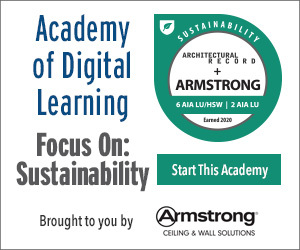 The best known of these green building rating systems is USGBC’s LEED rating system. The contributions that multi-slide doors can make are generally described within the common green building categories as follows. As part of an overall building envelope design, multi-slide doors can have a big impact on the energy performance due to their contribution to desirable passive solar heat gain when the building is designed to take advantage of it. By incorporating passive solar strategies such as overhangs and building orientation, solar gain can be used to an advantage in the heating season and reduced in the cooling season. The result is reduced use of purchased fossil fuel energy. In commercial buildings where daylighting is desired, then multi-slide doors can be used to provide an abundance of natural light into the space. With proper controls and lighting arrangements, this can reduce not only the amount of artificial lighting needed but also reduce the associated cooling load imposed from heat given off by electric lighting. The net result is a reduction in electrical energy use. The actual optimized energy performance can best be determined by using energy modeling and adjusting the size and configuration of multi-slide doors accordingly. In some cases multi-slide doors are available with recycled content positively impacting a life cycle assessment of the product. During the construction process, the prefabricated, custom nature of the product limits or reduces scrap and construction site waste. During their use in the building, their ability to close and seal tightly will reduce air infiltration and heat transfer. At the end of their service life, the door panels can be salvaged and reused in other buildings. Manufactured in the United States means regional material contribution is possible and the impact of transportation is lessened. Large-format multi-slide doors provide the notable and desirable addition of daylight and views that contribute directly to indoor environmental quality. In the open position, they also provide ample natural ventilation and exchange of fresh air into the building. Finally, since little or no paints, coatings, adhesives, or harmful sealants are needed in the product, they do not contribute to VOC content in the indoor air. With green design, size matters. Building size is a significant contributing factor to resource efficiency and in the end will affect energy use too. The move to smaller and more efficiently planned spaces makes flexibility, functionality, and expansion capabilities all the more important. Multi-slide glass doors provide a variable connection to the outdoors, allowing for living spaces to be smaller while still feeling large. Multi-slide doors are a preferred choice for turning open spaces and indoor/outdoor transitions into design focal points. Multi-slide glass doors offer architects the ability to create flexible spaces that are able to seamlessly connect the outdoors with interior spaces, providing benefits like daylighting and natural ventilation and capitalizing on available views. Selecting glass door panels with thermally broken frames, low U-factor glazing, and complete edge-seal systems can help the building exploit passive solar energy while controlling unwanted heat loss. Multi-slide doors that capture the aesthetic of clean lines and large, open expanses of glazing are a part of the overall design of an elegant and quality building. Because of their flexibility, range of options, and custom fabrication, multi-slide glass doors can be used in different building types, from single-family detached residential units to commercial spaces, hospitality, and education facilities. Understanding specifications and available options and working with manufacturers early on in the design process can help to create buildings that are vibrant, sustainable, and durable over the long term. Amanda Voss, MPP, is an author, editor, and policy analyst. Writing for multiple publications, she also serves as the managing editor for Energy Design Update. LaCantina Doors is the leader in designing and manufacturing products that create large open spaces. Offering the most innovative and comprehensive range of folding, sliding and swing systems available, LaCantina Doors utilizes the same signature narrow stile and rail profile across its product line for a complete and perfectly matching door package. Designed and made in California, LaCantina Doors have contributed to award winning projects ranging from residential, retail, commercial, educational facilities, resorts and is the preferred choice when it comes to products that open spaces. Backed by an industry leading warranty, LaCantina Doors are available across the U.S. and Internationally.